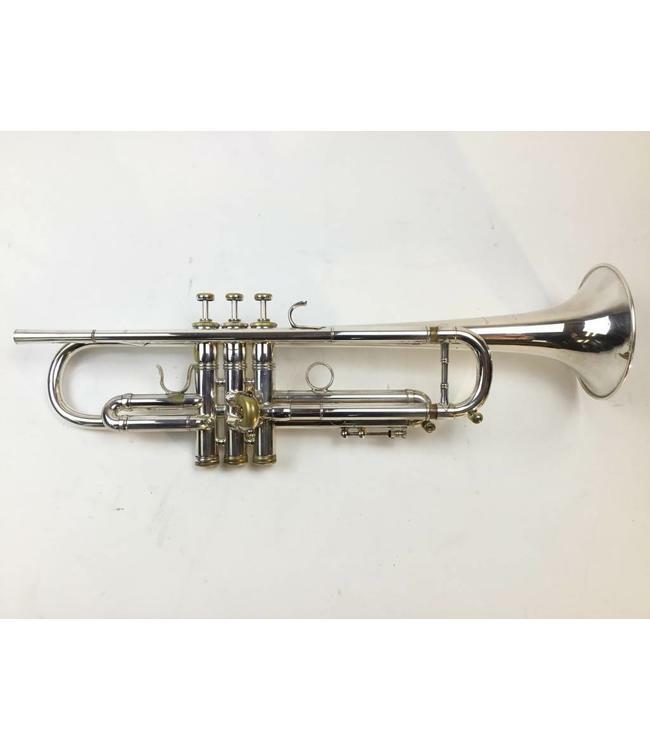 Used Los Angeles Benge “Claude Gordon” model large bore (.468 bore) Bb trumpet in silver plate. This trumpet is in overall good condition despite plating wear at contact points and signs if use throughout, not affecting playability. Has received a precision valve alignment. No case.